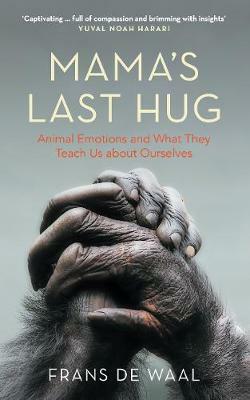 Mama's Last Hug is a whirlwind tour of new ideas and findings about animal emotions, based on Frans de Waal's renowned studies of the social and emotional lives of chimpanzees, bonobos and other primates. It opens with the moving farewell between Mama, a dying 59-year-old chimpanzee matriarch, and Jan Van Hoof, who was Frans de Waal's mentor and thesis advisor. The filmed event has since gone viral (over 9.5 million views on YouTube). De Waal discusses facial expressions, animal sentience and consciousness, the emotional side of human politics, and the illusion of free will. He distinguishes between emotions and feelings, all the while emphasizing the continuity between our species and other species. And he makes the radical proposal that emotions are like organs: we haven't a single organ that other animals don't have, and the same is true for our emotions.